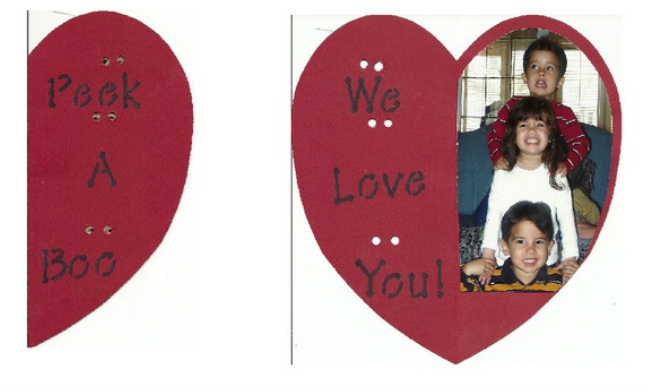 I made this valentine's day card from an idea I got from Family Fun Magazine. I created a heart out of card stock. I took a picture of the triplets. I placed the picture on half of the card. Then I made measurements of their eyes and cut holes for their eyes. On the outside of the card I wrote Peek A Boo and on the inside We Love You! It was very cute and simple to do.